Photo by World Resources Institute. Coral reefs contain a quarter of all marine species, despite covering only 0.1 per cent of the world’s oceans by area. Professor Peter Sale, Assistant Director of the UNU Institute for Water, Environment and Health, is an expert on reef fish ecology and on management of coral reefs. We talked to him about his newly released book, Our Dying Planet — An Ecologist’s View of the Crisis We Face, in which he shows how coral reefs are on track to become the first ecosystem actually eliminated from the planet. Q: Thank you for talking to us in the midst of promoting your new book, Our Dying Planet. Can you give us an overview of why you wrote it and how you conducted your research? A: This book is my attempt to explain for the general reader just how serious the current global environmental crisis is. It is the most serious environmental crisis humanity has faced since the Pleistocene, and includes significant over-exploitation of fisheries, forestry products, water and other renewable resources; significant pollution of land, air and water worldwide with nutrients and other chemicals that we discard; significant rearrangements of the world’s natural ecosystems through our ability to modify habitat on land (by clearing, farming, urbanization) and at sea (by trawling); and major changes to climate and to ocean chemistry due primarily to our releases of greenhouse gases principally through our burning of fossil fuels. It is modifying the distributions of many species, and causing the sixth mass extinction the world has seen — by 2100 it is expected that 50% of all extant species will have become extinct. The book seeks to explain what is happening and why, how serious it is, and what it means for our future. It also seeks to demonstrate that there is still the possibility of a good outcome for humanity and for the planet, but only if we act soon and wisely. The book is based on a lifetime as a marine ecologist, and on my reading of the wider environmental science literature. A: I decided to write this book as I came to understand the seriousness of our impacts on coral reefs — the ecosystem to which I have devoted my research career — and as I realized that most people still do not fully appreciate how serious the problem is, nor the fact that the sooner we decide to act to remedy some of these problems the greater our chance of reaching a future for us and for our children that is worth living in. Rejection, delay, indecision, refusal to act until we are absolutely certain are the commonest response to the environmental crisis at present, and if these continue we doom ourselves to a most unpleasant future life. Q: In the 40 years of your research experience, what are the major changes that have taken place in tropical coastal ecosystems? A: People have always damaged coral reef systems, because these are remarkably sensitive to overfishing and pollution. Reefs were seriously degraded in many parts of the world when I first began studying them in the mid 1960s, but there were also some reefs that had been spared our negative impacts. Over my research career, the number of these near pristine reefs has declined precipitously and now our releases of CO2 are affecting them globally, to such an extent that I, and many other coral reef scientists now believe that reefs as we knew them in the 1970s will have disappeared completely by 2050. Humans have been very good at causing the extinction of species, but this will mark the first time that we have globally eliminated an entire ecosystem — one that is biotically rich and productive, and economically very valuable for those nations that have reefs off their coasts. This reef demise is also a warning to us of things to come in other parts of the biosphere if we do not change our behaviour. Q: In Part One of your book you dedicate a chapter to forests. 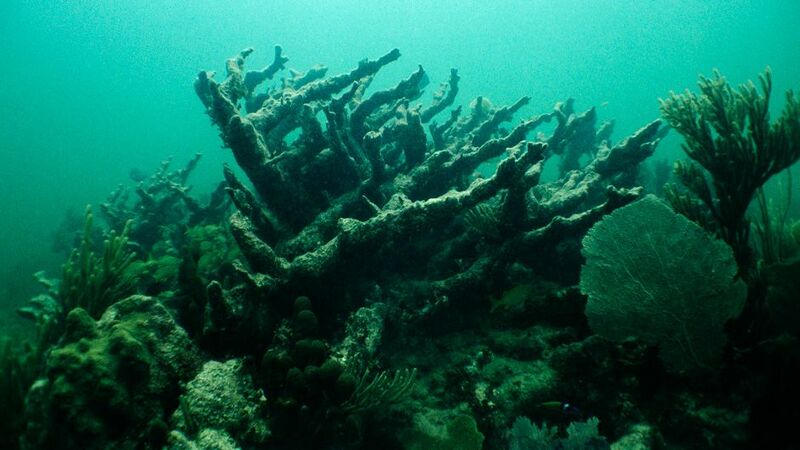 What does this issue have in common with coral reefs? A: Our impacts on forests are diverse, but I focused on our over-exploitation. While the rate of net loss has stabilized in recent years, we are still losing about 7 million hectares of forest a year — chiefly primary or ‘old growth’ forest. With this loss, we lose the value of the goods and services that forest provides every year. Forests are unlikely to disappear soon, but we are nibbling away at them, progressively reducing the very considerable value they provide us in ecosystem services such as air purification, water cycle regulation, and carbon sequestration. Q: The book was launched in early September 2011. Are people so far listening to your message? And if so, what is the most common response? Q: What about resistance, are you encountering any? (And if so, from who and why)? A: I tend not to hear much of the resistance. My book has not yet gained sufficient prominence that the climate deniers and their allies have started to attack me. Still, I have talked to people who tell me by body language if nothing else that this remains an issue they can file away as ‘not really important’. Fact is, humans are poorly equipped to deal with slowly developing crises, and very good at compartmentalizing unpleasant information. Q: What follow-up research is needed? A: There are many details of climate science, ocean chemistry, ecosystem function and dynamics, and individual species responses to environmental change that remain to be elucidated. There is also need for continued investment in the technologies that will wean us off fossil fuels as quickly as possible. And there is a need for serious discussion, and renewed efforts to bring the growth of the human population under control. But with current knowledge we can already see quite clearly the likely global future 10, 20 or 50 years out if we continue behaving as we do now. The biggest need is to make people aware of the seriousness of our situation, while giving them the hope that they can make a difference and that a good future remains possible. Q: What is UNU’s role in this? A: As a think-tank, UNU can play a significant role in promoting rational discussion of the many aspects of the environmental crisis, and can play a major role in transferring the scientific discussion into policy decisions. As a UN agency, UNU could choose to promote the idea (perhaps novel in UN circles) that we need more action on the ground and less talk at expensive international meetings that entertain senior diplomats, burn immense amounts of carbon and dollars, and produce lots of words while seeming to have minimal impacts on the way the global community behaves. Q: What related work is UNU-INWEH doing? A: UNU-INWEH focuses efforts on improving the management of water around the world (the water crisis is a critical part of the environmental crisis). Our drylands and freshwater programs deal with issues of water management on the land, and the impacts of water management on human livelihoods and environmental sustainability. Our coastal program does the same for coastal marine systems particularly in the tropics. And our water health nexus plays an important role in linking the issues of water and disease. Q: When Nature magazine recently interviewed you, you said that limiting CO2 in the atmosphere is essential but that the 500 ppm discussed “at climate talks” would be a “death knell for coral reefs”. Do you have a message for negotiators at COP17? A: Like most coral reef scientists, I advocate a limit of atmospheric CO2 to 350 ppm. That would move the clock back to the mid-1980s, and would result in a world in which coral reefs could thrive, but not prosper. The issues for reefs are the warming, which leads to mass bleaching and substantial mortality of corals, and the ocean acidification that leads to slower growth. (Australian corals are now growing at 14% slower rates than during the 1980s, because formation of their calcium carbonate skeletons is now energetically far more demanding.) When you kill off the critical species in an ecosystem at a much faster rate than in the past, while simultaneously forcing the survivors to grow more slowly, you slowly eliminate that ecosystem. My message to climate negotiators would be to start taking the issue seriously and put in place real changes in behaviour. Few people I talk to, including people who have participated in climate meetings, have any confidence that the 500 ppm ‘target’ or ‘goal’ will ever be met, and the climate scientist James Hansen is on record as saying that allowing CO2 to exceed 500 ppm puts us into real danger of ‘runaway climate change’ — a scenario in which a number of positive feedbacks come into play and temperature increases spike up, completely beyond our ability to ameliorate them through shifts away from fossil fuel. There are some very scary possible futures out there, but until now the international negotiations have been conducted as if we have all the time in the world to settle a rather minor problem. It’s not minor, and we do not have much time to act. Q: You address population issues in your book? Can you tell us a bit about that? A: Yes, the book includes a chapter on the human population, even though I knew risk I was taking to talk about this issue. We started a discussion of our uncontrolled growth in the 1970s. Then it stopped because it was politically incorrect. UN agencies have focused on the possibility of a demographic transition in each country, if only we can raise standards of living enough, in time. Unfortunately the deteriorating environmental situation makes it increasingly unlikely that this reliance on elevation of standard of living will suffice. So we need to begin once more to talk about our growth, and discuss whether we want a world in which our numbers are controlled by pestilence, famine, disease, and war — as they will be if we continue to avoid the subject — or whether we can aspire to a world in which people choose to limit births commensurate with the great improvements in death rates that have already occurred. I see no way for us to solve the environmental crisis without coming to grips with our propensity to overpopulate. The killing of coral reefs and what it means by Carol Smith is licensed under a Creative Commons Attribution-NoDerivs 3.0 Unported License. In the last century, Bill worked as an editor and supervisory editor with the US Department of Agriculture, Soil Conservation Service; as a freelance technical writer/editor; and as founding editor-in-chief of Computing Japan magazine. Since 1998, he has juggled two part-time roles: communications specialist with a global management consulting firm, and editor at UNU — where he currently is senior editor in the Media Centre. Bill holds a Master of Environmental Sciences (M.En.) degree from Miami University (Ohio).